The Doctor and Bill argue over who knows more about the Ninth Legion as they land in Aberdeen, Scotland, 2nd century AD. The mystery of what happened to the Ninth Legion has baffled many people over the centuries. And now we have the answer- Interdimensional Locusts! 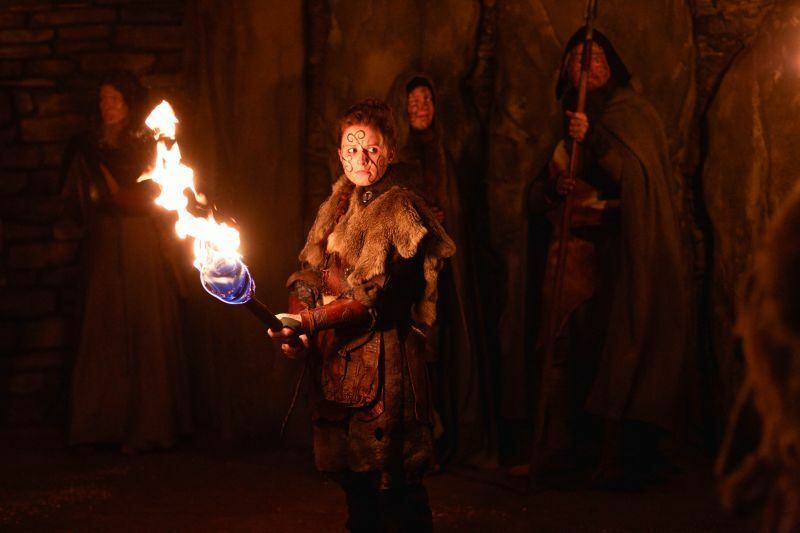 As The Doctor and Bill go searching for the Romans, Bill stumbles upon an alien creature with biolumiscent tentacles and the Doctor meets the Picts who are at war with the Romans. Writer Rona Munro- who is the only writer to have written an episode of Doctor Who from the classic and revised series- returns with an historical piece that explores the complexity of war through one of the guest characters, Kar. Rona's first story was the last episode of the classic series, named Survival, back in 1989. Both of her episodes contain historical and tribe like mythology that blends wonderfully with the Doctor and companion of today. The script is poetic and mysterious as a music melody becomes centre to Missy's continuing development in this episode. The tense atmosphere of the Romans and the Picts remind us of the richness and devastation of the countless wars that have been fought for thousands of years. Director Charles Palmer makes full use of the Scottish dampness and vast landscape (Wales doubling for Scotland) as he creates a frantic and unpredictable world; pulling the camera backwards as Bill stumbles from Kar's wrath and the chaotic confrontation with the creature and the Romans is an turbulent and exciting experience. Actress Rebecca Benson's portrayal of Kar is beautifully real and creative as she explores the grief, regret, sorrow and fear of the position that she's had to uphold as gate keeper. Her character's complexity elevates the emotional scenes with the Doctor exceptionally well. Bill's role as peace maker is another strong element of the story as we discover her growth as as a person and companion. 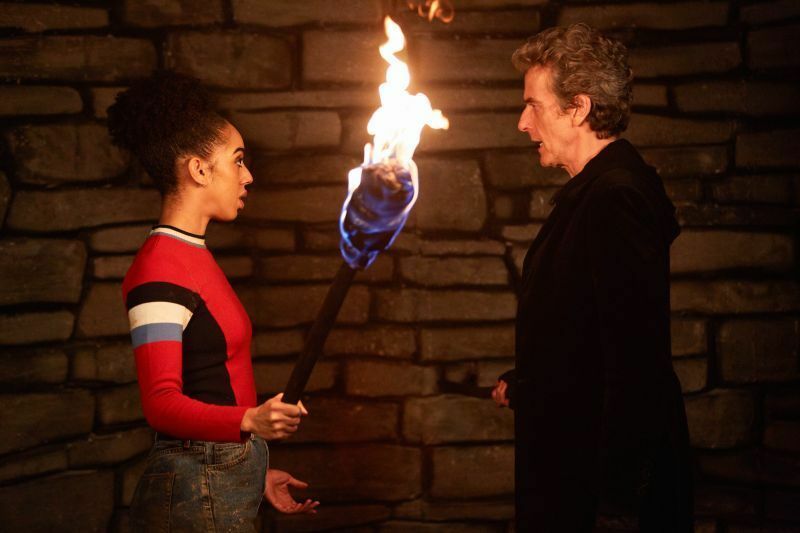 Pearl Mackie brings some joyful moments of comedy and intelligence to the story. The creature itself is a curious and original design with the biolumiscent tentacles and prehistoric aesthetic giving it a ancient and lost quality to its appearance. It would have been great to have learned more about the creatures; how do they communicate? Where are they from? But their presence gave the episode a mixture of threat, danger and savageness. The Doctor and Bill's argument that he can't fight every fight was an interesting theme to include as it fitted perfectly within the context of the story. Does the Doctor feel an obligation to sacrifice himself? Is it guilt, bravery or both? Missy's continued transformation is one of the most fantastic moments; her frustration at feeling waves of remorse and her amusement at being the maintenance worker for the TARDIS is such a new path for her character to travel towards that her friendship with the Doctor seems to be becoming even more complex and messy. Rona Munro's return to Doctor Who has been a successful one; she's given us a rich, historical drama with an imaginative creature who's aesthetic is as beautiful as it is terrifying. Missy's story arc is shaping up to be one of the highlights of series 10 and as we head into the finale it looks like the Doctor and Bill are going to have their hands full with two Masters on the loose!